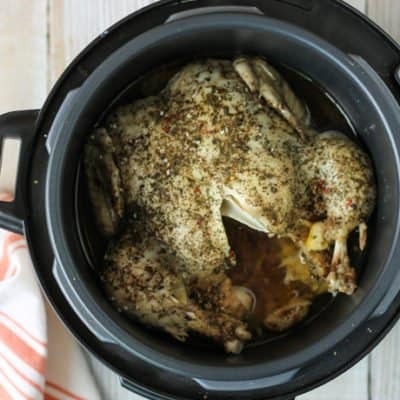 Whether you want a whole rotisserie chicken for dinner or need to do some batch cooking for the week’s meal plan, this Crockpot Express Whole Chicken is the best way to get it done. 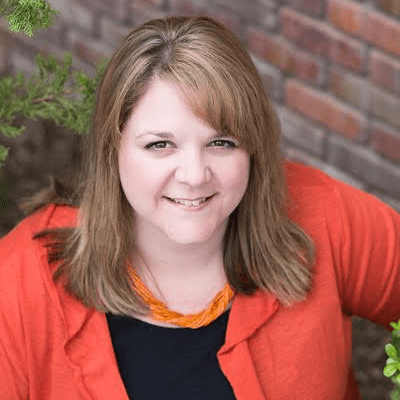 It works in the Instant Pot or other pressure cookers, too! This week I put Sour Cream Enchiladas and Creamy Chicken Taquitos on the menu, so I decided to do a little meal prep and cook a whole chicken in my pressure cooker. Normally, I would either buy a rotisserie chicken or do like my mom did growing up and boil the whole chicken. 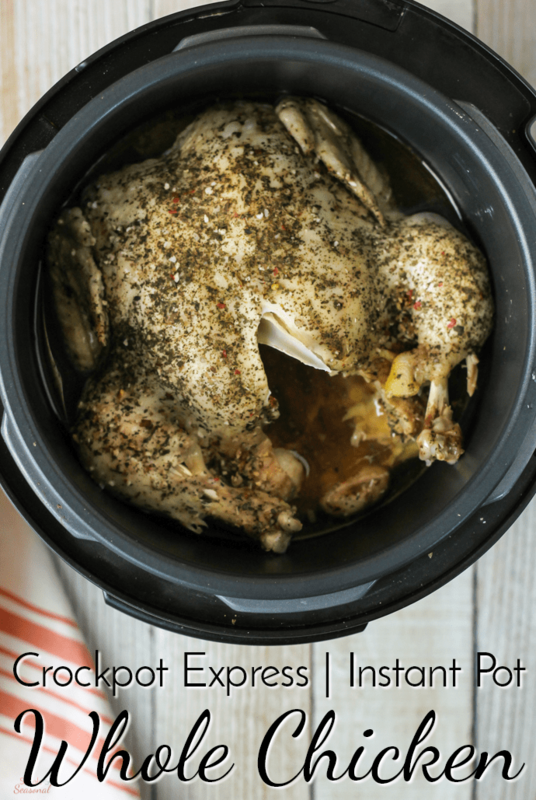 But this Crockpot Express Whole Chicken has so much more flavor and it stays perfectly tender! I left the juices from cooking in the Crockpot Express and when I had stripped the chicken of meat, I put the carcass back in and made a large batch of chicken broth. I use it so often (especially now that I am pressure cooking more) that this is a much cheaper solution than buying it over and over. You can see that recipe for Crockpot Express Chicken Broth here. 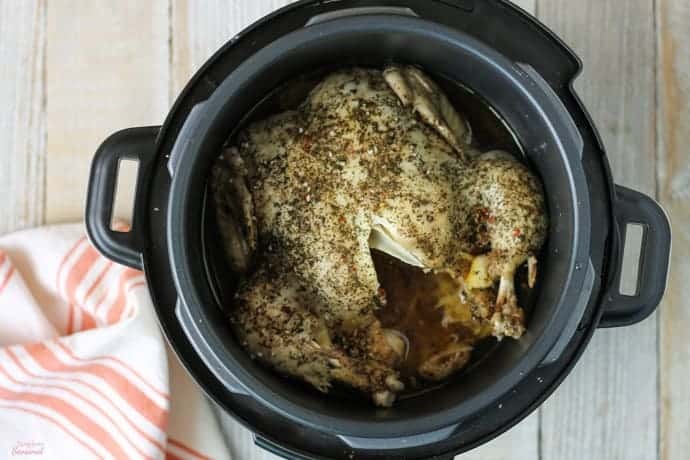 Whether you want a whole rotisserie chicken for dinner or need to do some batch cooking for the week's meal plan, this Crockpot Express Whole Chicken is the best way to get it done. Save the cooking juices to make chicken broth! If you want a whole chicken to eat (rather than to de-bone and use in other meals) just follow the same overall instructions. The difference would be the skin. To get that golden, crisp skin, you need to saute it first. You can do it in the pot on Saute/Brown, or do it in another pan so it’s easier to flip. Brown on both sides, pour the broth in the post, add the trivet and then place the chicken inside to cook. 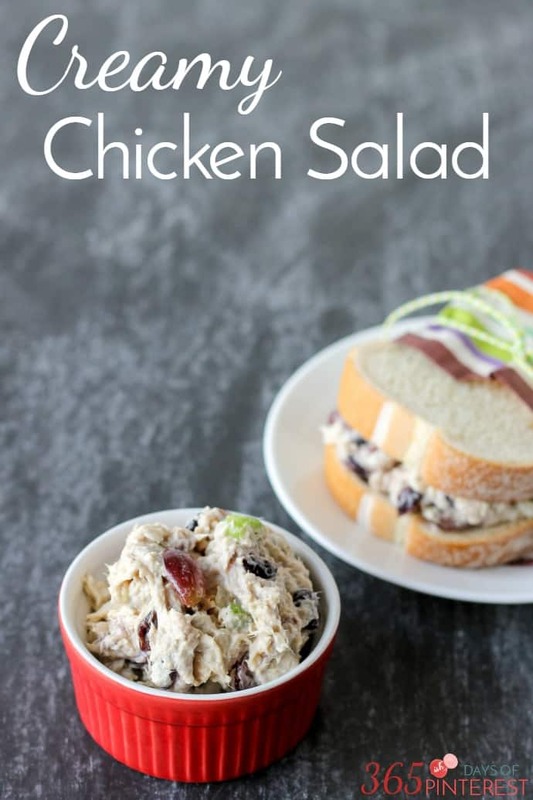 If you’re new to cooking with the Crockpot Express, be sure to check out my Crockpot Express Cooking Guide and FAQ’s here. You can-it works the same way. It just defaults to 15 minutes so you have to adjust the time. I usually just choose the preset that’s closest to my cook time. Thank you! I was looking for HOW to cook it, already had my seasoning picked. Like you said, it’s all preference and I don’t care for Italian seasoning so I went with a family favorite. It’s cooking now, updates after it’s done! I think that will depend on the brand/type of Italian seasoning you use. Some mixes are much more salty than others. 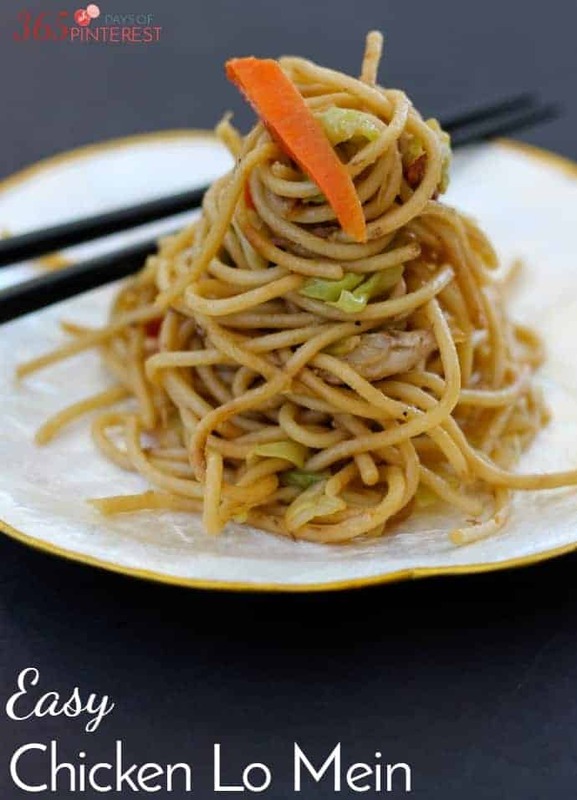 As with any recipe, adjust to you personal tastes, for sure!